This is a candid photograph showing this flower girl during the ceremony. The diffused light coming through the large window further softens the image, as does my use of a large aperture on my lens for the shallow depth of field. 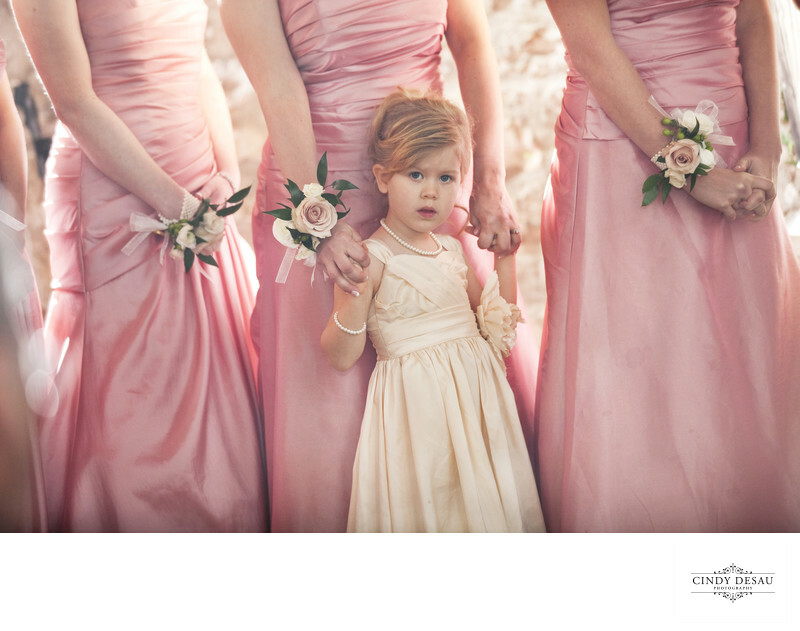 The corsages on the bridesmaids wrists serve as a frame for this flower girl’s portrait. As you can see, this bride’s colors consisted of the soft palette of peaches and pinks. Every bride chooses two or three colors as part of her wedding day color theme.